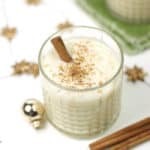 Dairy-Free Blender Eggnog is a quick and easy way to prepare the traditional Christmas drink this year. 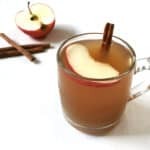 It’s the perfect holiday beverage for vegans and those who can’t consume dairy. 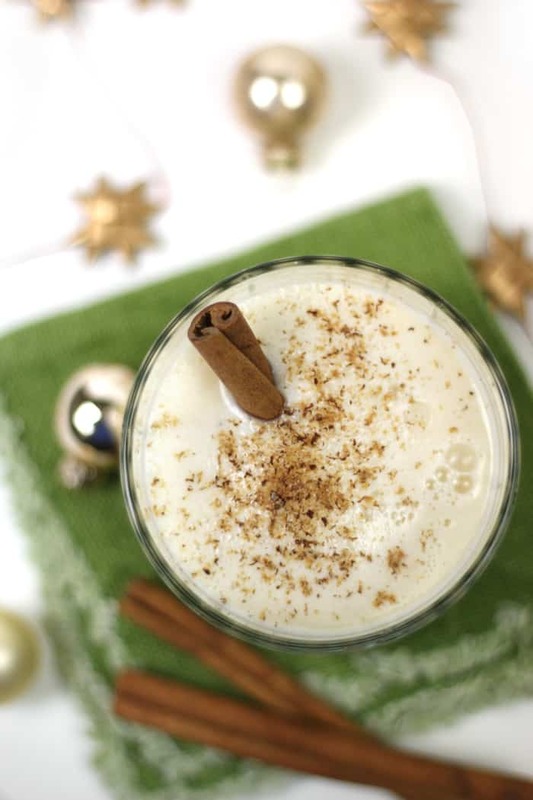 Oh, eggnog. We have a complicated relationship. My great uncle used to make a huge punch bowl of eggnog that he set out on Christmas Day, and I always turned up my nose at it as a kid. When I was older, I tried the store-bought stuff, but I never liked it. It tastes so weird to me. 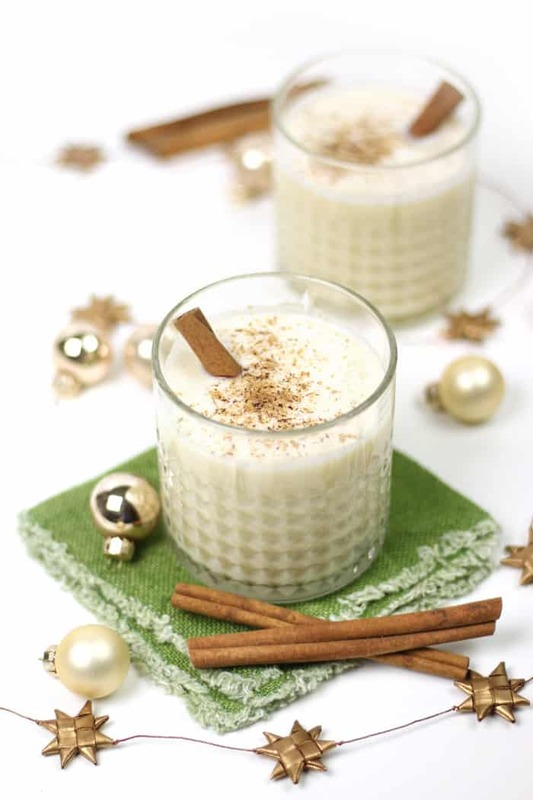 Then, last year, I tried a version of eggnog that actually tasted delicious. 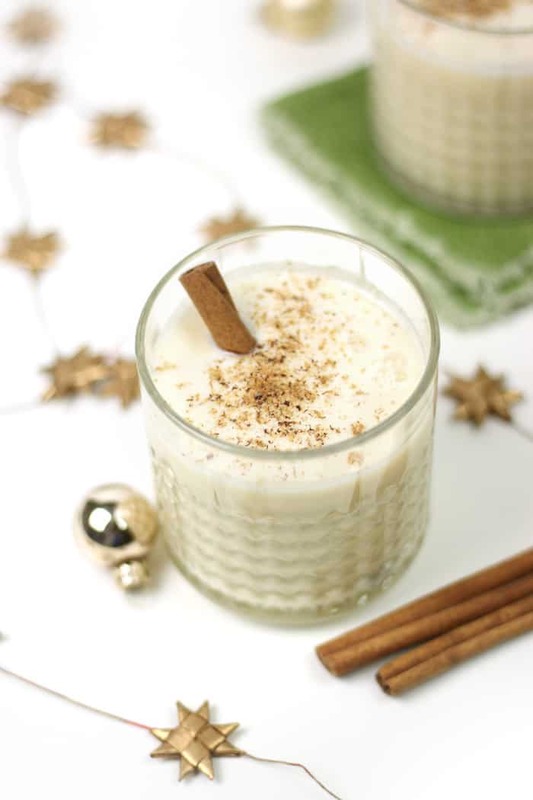 The smooth, creaminess of the eggs and milk, plus the flavor of delicious rum. So good! As a lactose intolerant person, I can somehow tolerate cheese and a drop of half-and-half in my coffee. 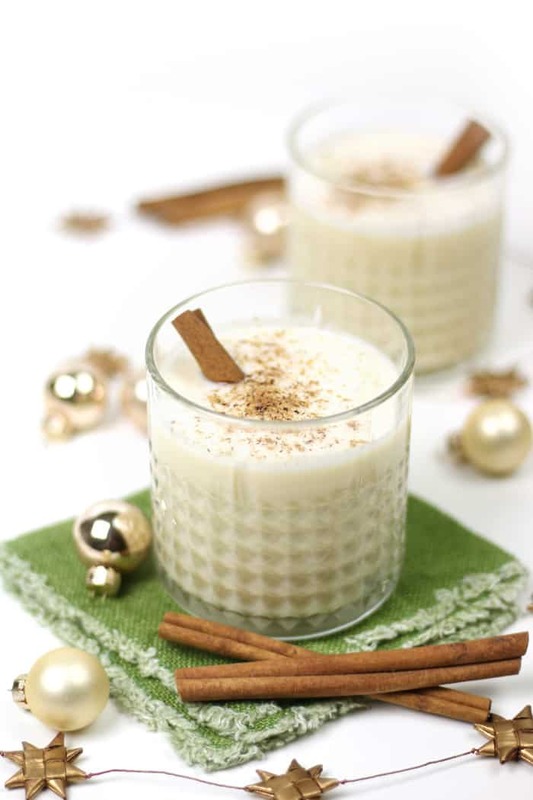 Sadly, I can’t drink classic eggnog, either. I don’t mind that it has eggs in it. It’s the cow’s milk that bothers my stomach. 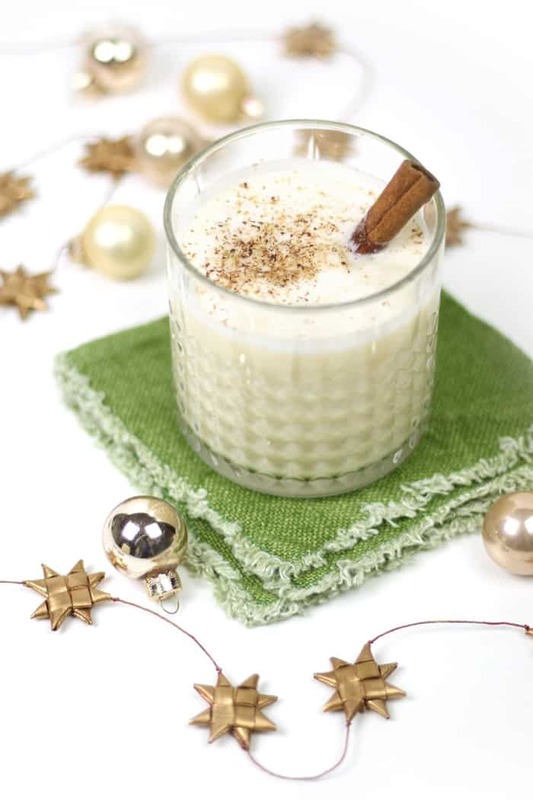 I came up with this quick and easy Dairy-Free Blender Eggnog to serve just in time for Christmas. It uses almond milk and coconut milk for a dairy-free base, eggs, sugar, maple syrup and rum — and it tastes just like the stuff you can get on the shelf. Better, actually. 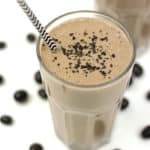 This recipe does include eggs, so if you wanted a full-on vegan drink, you could always use a vegan egg replacer. My Wolf Gourmet High-Performance Blender is one of my favorite things in my kitchen. 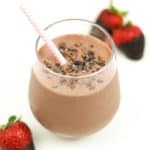 This post isn’t sponsored (though Wolf Gourmet has sponsored other posts on F+W in the past) but I just genuinely love this blender. It’s fantastic. 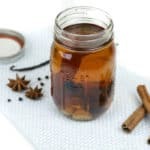 To finish each glass, use a nutmeg grater to grind fresh nutmeg over the top of each drink and garnish with a cinnamon stick. So classically Christmas and something everyone can drink. I’m so glad that eggnog and I are figuring things out. This recipe definitely helps. I asked my uncle to write down his recipe for me last year — and though this post isn’t it — I’ll still cherish that recipe always. For the memories. In the base of a blender, combine egg yolks, sugar, salt, almond milk, coconut milk, maple syrup and rum. Blend until smooth, 2-3 minutes. Pour into an airtight container and chill for 2 hours. Wash and dry blender base. Before serving, place egg whites in blender. Blend until white in color and stiff peaks form. Serve in rocks glasses. Fill a glass 3/4 full with the base, then top with egg whites. Garnish with grated nutmeg and a cinnamon stick.